Love is a lesson learned over lifetimes. Spanning three generations, Daisies is a stirring debut novel from a singular talent. In 1954, awkward Gwen Hisel falls in love with the affable Willie Bennett on the dusty Oklahoma prairie. What follows is a harsh life for the two youngsters as they struggle to make the best of their difficult circumstances. Twenty years later, Sheila Hisel, daughter of Gwen and Willie, marries Darrel McAllister. But while her parents’ love for one another had seen them through tribulation and adversity, Sheila’s own marriage crumbles under the strain of hard times. Now, if Sheila’s son, Lonnie, ever wants to succeed in love, he must unravel the mysteries of two very different relationships to discover the secret to true happiness. Joshua Senter was raised in the Ozark Mountains where he was homeschooled along with his four sisters on a five hundred acre farm. He moved to Los Angeles in August 1997 to pursue a degree in filmmaking from Art Center College of Design. 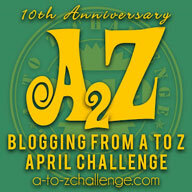 In 2002 he started writing for the hit Showtime series The L Word. A year later, he joined the international phenomenon, Desperate Housewives, where he was nominated for a Writer’s Guild of America award for his episode, Don’t Look at Me. In 2013 Joshua began writing and co-producing a new show for ABC Family, Chasing Life, which will begin airing in 2014. Daisies, is Joshua’s debut novel. I am a passionate guy, and this is an attribute that has propelled me into some incredible circumstances in my life and career, which might have otherwise been unattainable to me.In fact, I think passion may be one of the most powerful forces on earth. It is the thing that can keep us going when so many obstacles lie before us we would otherwise turn tail and run. It’s also wildly infectious. You get enough people filled with passion promoting the same goal and you can change the world. Religion is a prime example of this. So, is the rise of the Nazis, Communism, and the Taliban. And that’s where passion can get you into trouble. Simply because you’re passionate about something doesn’t necessarily mean the thing you’re passionate about isethical, moral, or generally right. In no place is this concept more apparent than in romantic relationships. For example, when I love, I love fiercely. And while thatis wonderful when things are good between me and some significant other, it also means when an inevitable dispute arises, I can go twenty rounds arguing my side of things.Of course, for the longest time, I thought because I won so many arguments, I was must be right. I didn’t realize maybe the real reason I “won” those arguments was simply because the other person gave up in the face of my zeal. I remember one incident in particular that effected the trajectory of my life so profoundlyI borrowedit as a plot point for my novel Daisies. I had been dating a guy for almost two years. He was pretty dreamy. Good Midwestern stock. Honest. Willing to communicate. An eager lover. A thoughtful partner.We were one of those couples that could spend five hours in a car together and not run out of things to say. We enjoyed a lot of the same things: movies, sports, books. However, maturity-wise he was ten years older, and this was our biggest hurdle because while he was pretty chill about everything in our life together, I was constantly stressing out, trying to fix our tiniest flaws. And for the longest time, he didn’t really put up much resistance to the drama I created.So, I became even more empowered, attacking him for the silliest of things like say taking a jelly knife from the strawberry jam and using it in the peach preserves. Then, one day we were set to watch a football game on TV, and he couldn’t remember, of the three remotes it took to turn on the TV, Cable, and sound system, which button you had to hit first. It was a new entertainment system, and it was ridiculously complicated. But, I had shown him at least four times already how the remotes worked, and I got upset because it was apparent he hadn’t paid attention. So, I decided to start afight over the “principal of the matter,” which in my mind was that he didn’t listen to me in general. Well, he did listen to me rant about this “fundamental issue” for about five minutes before,as he had done so many times, he simply agreed I was right. Then, he turned, walked out, and nevercame back. I was beyond devastated. I had driven my point home, but I had also driven the person I loved more than anything in the world away. Luckily, the pain of losing that man was a huge wake up call for me. Sure, with enough passion I could win any argument, but I also realized I had to ask myself if what I was attempting to achieve was truly worth it? Quite a few years have passed since the TV remote incident, anddespite knowing better, once in a while I still find myself flipping out over things that don’t matter. A lot of the delineation between what’s important and what’s not comes with maturing, realizing there are some battles you are gonna have to fight because they really do matter and understanding that expounding energy on the small stuff is a waste of time. If you still have a hard time deciphering between what’s worth throwing your weight behind and what isn’t, I recently came up with a solution that has been unbelievably beneficial for me; wait twenty-four hours. I don’t care if I’m upset about the knife in the jelly jar or angry because someone totaled my car, I wait twenty-four hours to respond to just about everything I’m feeling passionate about. And the fact is, after twenty-four hours if I’m still feeling quite strongly I confront whatever issue needs confronted, but I’ve found more often than not after twenty-four hours, I don’t really care anymore. And the fact is when you look back on life you don’t tend to remember the things you weren’t completely invested in. You remember the things you were passionate about. So,in many ways your passion defines your life, and that makes the question of where you want to invest your passion something I think we should all consider a little more carefully. 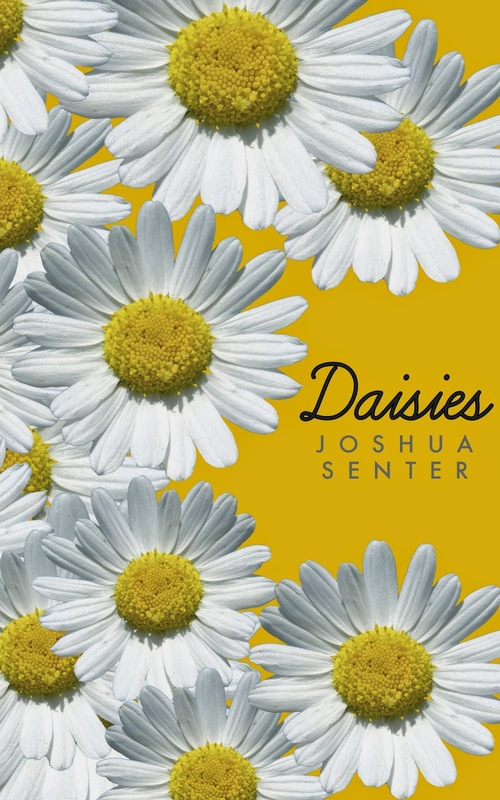 Win 3 Digital copies of Daisies by Joshua Senter.